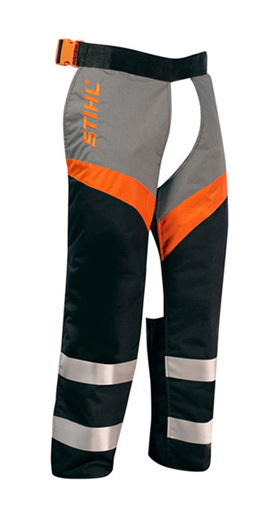 Safety chaps designed to be worn over pants or shorts. Made from lightweight material with adjustable quick release clips and snag resistant calf covers, utility clip and wedge pocket for accessories, ideal for professional users. Chain saw protection certified to AS/NZS 4453:1997. Size: Short, Regular, Tall.